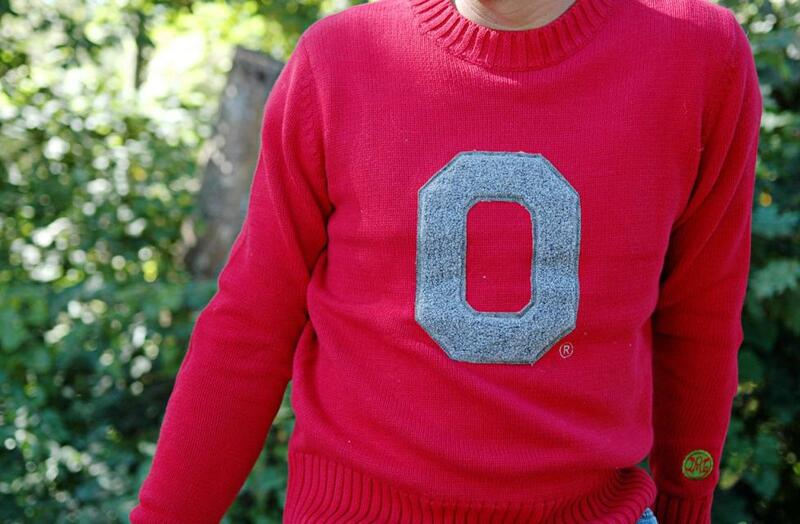 DUBLIN, OHIO - Alma Mater, a high-end, fashion-forward apparel brand, has announced they will be opening at Bridge Park in Dublin, Ohio. Alma Mater will occupy 574 SF at 6564 Longshore Street and is expected to open next month. This is the first storefront for the brand that recently appointed Zachary Traxler, owner and CEO of Traxler Printing, as new CEO. “With its close proximity to campus and Dublin City Schools, Bridge Park offers the perfect location for Alma Mater’s first store,” said Traxler. “We’re looking forward to opening at Bridge Park and sharing our products with this awesome community. Known for collegiate, old-school knit sweaters, Alma Maters offers a wide variety of apparel options and accessories including t-shirts, tanks, totes, hoodies, water bottles and more. The company currently holds 157 NCAA® licenses including The Ohio State University, Ohio University and Miami University. With the launch of its first storefront at Bridge Park, Alma Mater will also offer apparel and accessories for high schools - including Dublin City Schools. Traxler said Alma Mater will focus on globally conscious efforts including selling handmade jewelry, employing individuals with autism and keeping production local. In addition, Alma Mater has partnerships with various brands including Apolis and will be offering US made and recycled apparel. Alma Mater is the latest retailer to join the Bridge Park development, which is home to zerOz wallets, Kilwins, Anthony Vince Nail Spa and Bend Active. To request more information on commercial leasing, visit www.bridge-park.com/commercial or call 614.333.6415. Alma Mater Wear® is an NCAA® licensee and online retailer for any college student, alumni or fan looking for quality, unique apparel and accessories to share their values and display their school pride. From organic textiles, fair wage products and environmentally-friendly accessories, Alma Mater is the only premium source from tailgate fashion to graduation gifts. To learn more about Alma Mater, visit www.almamaterwear.com. Bridge Park is the newest and only walkable, mixed-use community in downtown Dublin. Spanning more than 30 acres along the Scioto River, it is the cornerstone of the city’s long-term vision for the Bridge Street District. The unique community features luxury condos and apartments, restaurants, shops, Class A office space, entertainment venues, a hotel and conference center and multiple green spaces. To learn more about Bridge Park, visit www.bridge-park.com. Crawford Hoying is a full-service real estate development company, based in Dublin, Ohio. Concentrating in all aspects of acquisition, design, development, construction, management, as well as commercial and residential brokerage. In the past five years alone, they have developed more than $1 billion of mixed-use, multifamily, office and retail properties. Crawford Hoying creates a sense of Place; focused on consumer needs from a commerce, culture and community perspective. Bridge Park, www.bridge-park.com and Water Street District, www.livewaterstreet.com are examples of Crawford Hoying’s transformational development capabilities. To learn more about Crawford Hoying, visit www.crawfordhoying.com.